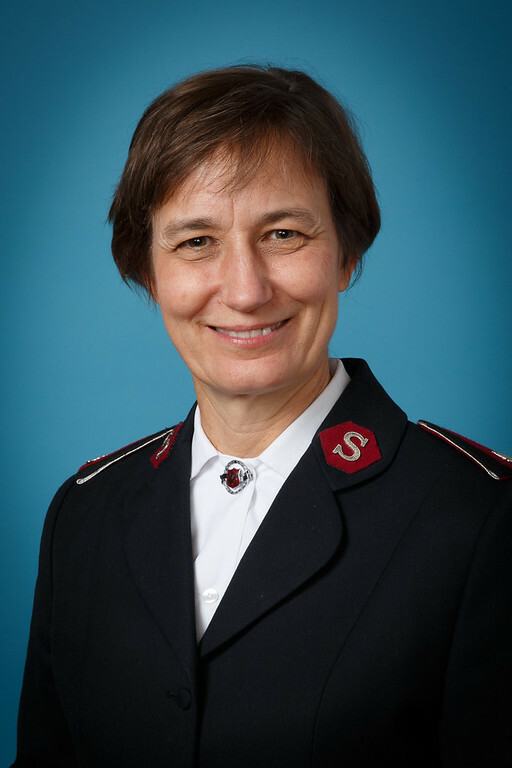 The Chair of IOTALDC, Lieut-Colonel Anne-Florence Tursi, is Command President of Women's Ministries (Italy/Greece Command). Born in France, of officer parents, she grew up in France and Switzerland. While at the International Training College in London, she met Massimo, her future husband. Appointments in Corps work in the South of Italy and in Switzerland were followed by the challenge to plant a new corps in the former East Berlin, Germany – while her husband was National Youth Secretary in that Territory. Further appointments brought responsibilities for Women’s ministries at DHQ and Command level. 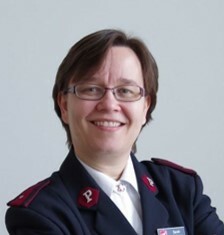 She has had many opportunities for teaching (Bible knowledge, pedagogy, Salvation Army lectures) in several settings and at the “Catherine Programme”, a Salvation Army European summer school for employees in leadership positions, and for cadets/officers. Anne-Florence has a university diploma in Curative Pedagogy and a certificate for systemic and strategic brief therapy (School of Palo Alto). She oversees the formation of officers, and is currently Chairperson of the “Catherine Programme”. With her husband Massimo they have 4 grown-up children and 2 grand-children. Vice-Chair of IOTALDC, Major (Dr) Alberth Saramin serves as Training Principal in Indonesia Territory. Previous ministry opportunities were in corps, hospitals, as Territorial Youth secretary and Assistant Project Officer at territorial headquarters. 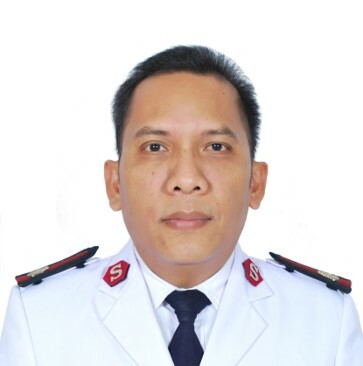 He has also been Chair of The Salvation Army Theological School in Palu. After he graduated from Palu university, he entered training college and had the opportunity to continue his second year at the School For Officer training in Sydney in 1999. At the training college he met Elsi Hariyati who he later married. During his officership, Alberth has had an opportunity to study at Diponegoro University for Master of Public Health (M.Ph), and graduated in 2006. Further study at Harvest Theological Seminary resulted in a Master of Theology (2013), followed by a doctoral program at Jaffary Theological Seminary in Makassar (2016). Alberth and Elsi have two sons and a daughter. Secretary of IOTALDC, Lieut-Colonel Kalie Webb is Assistant Chief Secretary (Personnel) at International Headquarters. Her ministry experiences have included corps officership; training college and leader development work; and divisional leadership. Kalie served in the Pakistan Territory as Mission, Training and Education Co-Ordination (MTEC) Director. She has served as the Academic Dean for Catherine Booth College (now Eva Burrows College) and as Deputy Course-work Coordinator for the University of Divinity (Australia). She is a Member of the Australasian Centre for Wesleyan Research, and is co-author of Authentic “fair dinkum” holiness for ordinary Christians. She was a contributor (and ghost-writer for) In her own words: candid conversations on holy living. In her spare time, Kalie is a fan of Australian Rules Football, and loves reading biographies, photography, and knitting. With her husband Geoff, they have three adult children and four grandchildren who live in Australia. Lieut-Colonel Eugene Bamanabio is Chief Secretary in Congo (Brazzaville) Territory. Born of Salvationist parents, he was commissioned in 1987 from the “Witnesses of Jesus” session. He is married to Brigitte Odile Bamanabio. After they spent time in corps work in Congo Brazzaville Territory, they pioneered the Salvation Army work in Rwanda, and were the first Corps Officers in Rwanda-Kayenzi. Further corps work followed in Congo Brazzaville, before they served as divisional leaders. Eugene had the opportunity to attend ICO in 2005. Further international service followed as Regional Secretary in Rwanda and Burundi, General Secretary in Uganda Command, and then as Chief Secretary in the Uganda Territory before his current appointment. He and Brigitte have 2 children and 2 grand children. Captain Marcelo Delmastro is a Corps Officer in South America West territory. Marcelo was born in Puerto Rico. He married Ximena del Carmen Castillo, and together they trained in South America West territory in the Visionaries session. Corps officership has sometimes also been accompanied by additional appointments as divisional youth and candidates’ secretary, and at the "Ejército de Salvación" Santiago School for Officers. Full-time work at the Training School was followed by further corps work. Marcelo enjoys opportunities for service as a translator. He and Ximena have three children. Major Aneela Faheem is the Secretary for Personnel in Pakistan Territory. 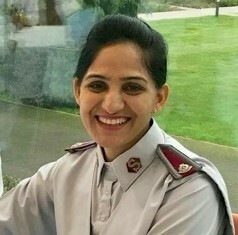 Aneela entered college from Samanabad Corps (Lahore), and was commissioned with her husband Faheem as part of the Faithful Intercessors session. Time in different corps work was followed by appointments as Training Officer, Associate Territorial Youth and Candidates’ Secretary and Assistant Secretary for Personnel and Candidates’ Secretary before her current role. Aneela and Faheem have three children. Major Liz Gainsford, along with her husband Ian, is the Divisional Leader for the Northern Division, in the New Zealand, Fiji, Tonga and Samoa Territory. She trained in Australia Southern Territory as a part of the Forward 2000 session but moved to New Zealand directly after commissioning where a year later she married Ian. Liz has had the opportunity to serve in three Corps, three Divisional Headquarters and in two training roles in three different countries (NZ, Australia and Tanzania). 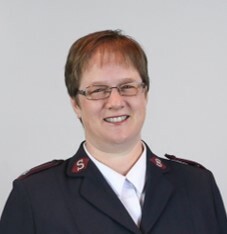 All of these experiences have helped to shape and develop Liz into the person she is today and give her an appreciation for the internationalism of The Salvation Army. She loves to travel and meet people, enjoys going to the movies with the family, likes the challenge of crosswords and loves to see people developed into their full potential. She is the proud mum of Sophie and Malachi. Commissioner Verona Haughton was born in Jamaica but spent her formative years in Portland. She entered Training College in 1974 as a member of the “Overcomers” session. Prior to marriage to Devon, she served as Corps Officer in several corps, Secretary to the Chief Secretary, and Asst. Matron. She served with her husband as Corps Officers, as divisional leaders, and as Director of Special Services at the Training College. 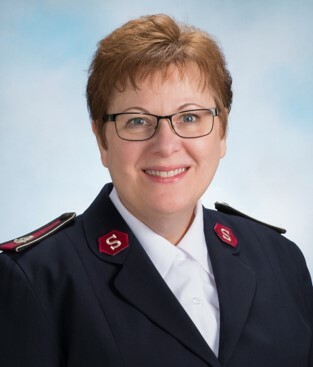 Other service included as Secretary for Leader Development, Secretary for Spiritual Life Development, Territorial Secretary for Women's Ministries, and presently she is Territorial President of Women’s Ministries. She has attended the Administrative Leadership Training Course in Australia and Training Principal’s conference in London. She holds a Master of Arts (Pastoral Psychology & Counselling) and a Bachelor of Arts (Guidance and Counselling); and certificates in Supervisory Management and Public Speaking.She has passionately devoted her time to the training and development of officers and steered the Territorial Training College to be recognized under the Independent Schools of Jamaica. She loves the Lord, His people and His work and is completely committed to the mission of saving souls, growing saints and serving suffering humanity. Verona has been married to Devon for 36 years and they are the proud parents of daughter Tephanie Olivia. She enjoys reading, sporting activities, taking long walks, exercise programmes, watching detective movies, mystery movies, cooking, baking, planning, and organizing and playing dominoes. Major Ekebike Ijioma is the Senior Training Officer in the Nigeria Territory. 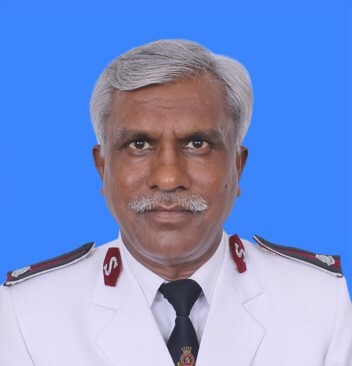 Commissioned as a Crossbearer in 2002, he has been involved in ministry as a corps officer, schools administrator, area officer, external training officer, and in several appointments at the Training College. 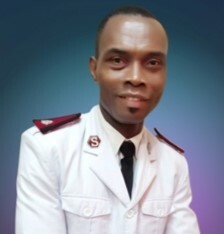 Ekebike holds a Bachelor of Education, a Masters of Education (in Counselling Psychology) and is currently a candidate for a doctorate of ministry. He is married to Ifesinachi, and together they have four children. Captain Sarah Ilsters is the Assistant Regional Leader with responsibility for training in Latvia (Sweden and Latvia territory). 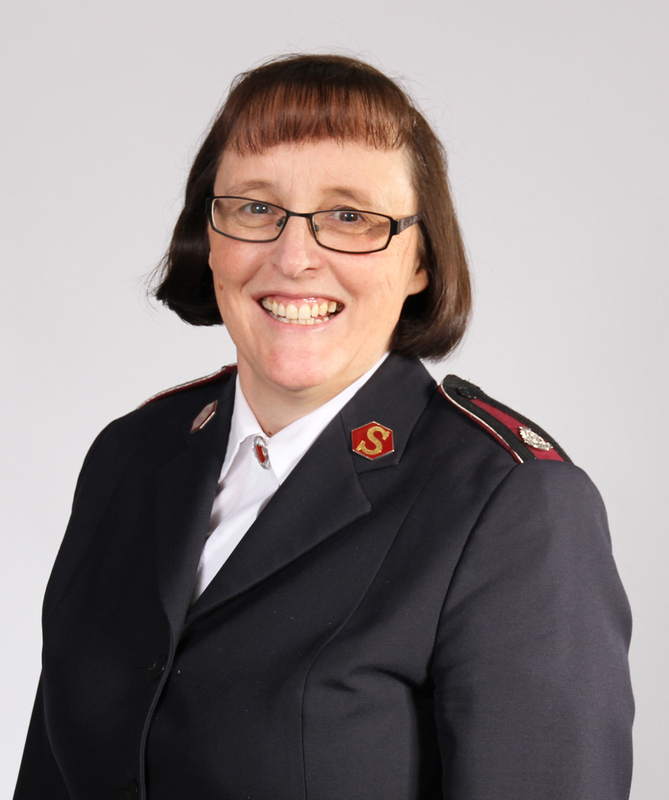 She has been in ministry in The Salvation Army for the past 23 years. Eight of those years has been as an officer (trained long-dtsiance at WBC, London). She has worked in the areas of children and youth work, leading a corps, and in her present appointment. Sarah has a Bachelor of Education degree and is currently serving as Chair of the European Training Leader's network. She is married to Aivis (a photographer) and they have two children - Josh and Matilda. In her spare time, Sarah loves to read, explore her surroundings and have meaningful conversations. 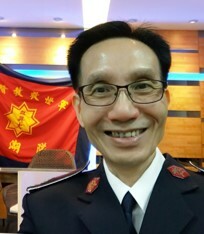 Lieut-Colonel Bob Lee is the Regional Commander, Taiwan Region. Commissioned in the “Proclaimers of Salvation” session in 1980, Bob comes from the Singapore, Malaysia and Myanmar Territory. Together with his wife Wendy, they have served in various corps, social, Regional, Training College and THQ appointments. 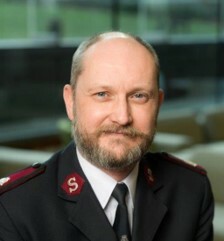 Bob was the Director for the William Booth College and the Training Principal in the Territory for 3 years before the leadership appointment as the Chief Secretary of the SMM Territory in 2010. Subsequently, he was appointed as the Chief Secretary for the Philippine Territory and presently as the Regional Commander of Taiwan since 2016. 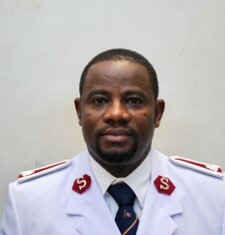 He holds a Bachelor of Divinity from Trinity Theological College, Singapore and Certificate in Management, from the Singapore Institute of Management. Bob enjoys reading, taking long walks and coffee break conversations with friends and family. He has a passion to see the growth and development in of young adults as potential leaders. He and his wife are blessed with 2 adult children Elizabeth (34 years) and Joel (32 years). 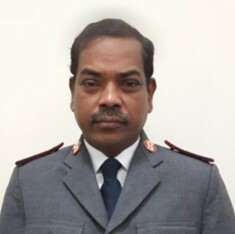 Lieut-Colonel Y. Manoharan is currently the Secretary for Business Administration in India Central Territory. Until recently he was HRD Secretary in the India National Secretariat. He has served in corps work, in finance, as territorial auditor, and as training principal. Service has included time in Tanzania, three of the territories in India (as well as the national office). He holds Masters degrees in divinity, psychology, commerce and ministry. Married to Vethamony, they have three adult children. Major Malcolm Martin is Training Programme Director, William Booth College, United Kingdom territory with the Republic of Ireland. Malcolm was commissioned as an officer in 1993. 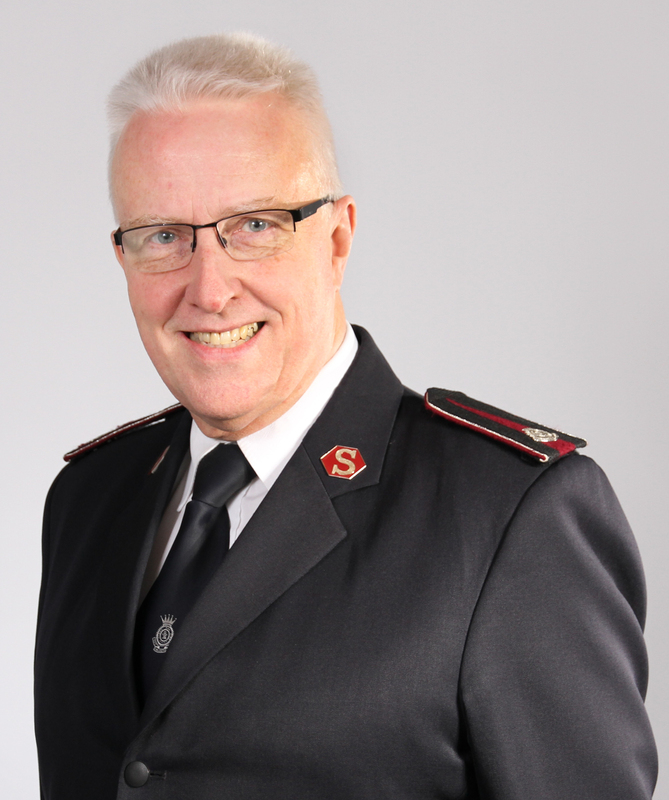 His previous ministry experience included corps in the UK and Spain, before appointment to William Booth College in 2009. Malcolm has overall responsibility for the curriculum followed by cadets, including liaison with academic partners and regulatory bodies. His areas of focus within teaching include the enduring relevance of the Old Testament Prophets, and issues around the contextualisation of faith in contemporary society. Malcolm holds a BA (Hons) in Theology and a Master of Education degree; he is also a Fellow of the Higher Education Academy and Associate of King’s College London. Malcolm is married to Janet, who leads a bilingual Spanish/English corps in London, and together they have three teenage children. 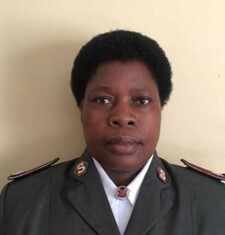 Captain Dancille Mukufuraha is Training Officer and Corps Officer, Mali Region. Before entering the officers’ Training College in Congo Brazzaville Territory in the Bridgebuilders’ Session, Dancille was a teacher for 8 years. After commissioning, she went back to Rwanda and received an appointment in corps work; followed by Command Headquarters as Education officer and Extension Training officer for 9 years at the same time serving in the Officers’ Training College as Education officer. Dancille has a Bachelor degree in Office Administration and Management from the University of Rwanda. She is married to Captain Emmanuel Ndagijimana and they have 2 daughters (Denise, Naila) and 3 boys (Aristide, Alain and Michel). Lieut-Colonel Wendy Muzorori was commissioned in 1989 and has served as an officer for 29 years. 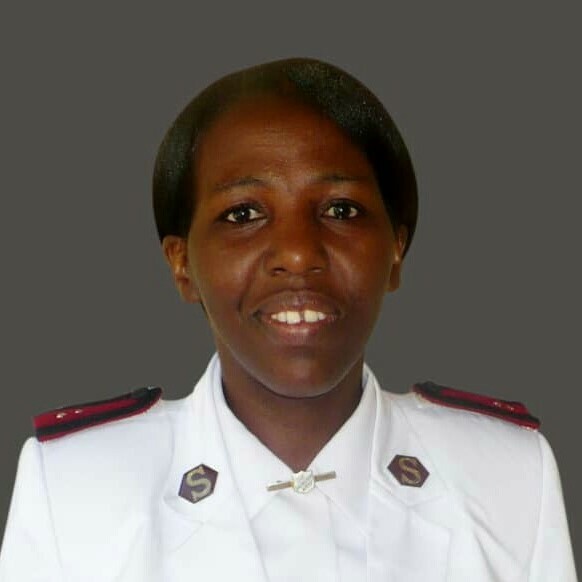 She has served in Zimbabwe as a corps officer, Divisional Directory for Women's Ministries, and as Director of Specail Services at the training college. Service in international appointments was in Kenya East as the Assistant Territorial Leader for Women's Ministries, and in Uganda as the first Director of Special Services at the new Officer Training College. Currently Wendy is the Territorial Spiritual Life Development Secretary, and Territorial Training and Development Secretary, She holds a Bachelor of Science (Honours) in Development Studies; and a Diploma in Human Resources Management. She is married to Trustmore and they have two children: Audrey, who is married to Amos , and Shalom who is in his first year in college. Wendy loves gardening, reading, fishing and rearing chickens among her hobbies. 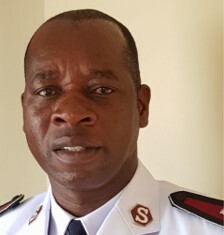 Lieut-Colonel Bishow Samhika is the Principal of SALT College (IHQ) based in Kenya. He is a Zimbabwean by nationality and belongs to the “Messengers of the Truth” session. He has served together with his wife in 3 Corps appointments for 12 years. This was followed with Institutional appointments at the Officers Training College first as the Home Officer, then as the Dean of Studies. Then he served at I.H.Q-SALT College as the Director of Studies. In 2011, he went together with his wife for International Service in Mozambique Territory where he served as Divisional Commander. Then from Mozambique he assumed his current appointment at I.H.Q-SALT College as the Principal. Beside ministry experience, he carries also lecturing experience at the University of Zimbabwe and Midlands State University. He holds BA Honours in Religious Studies and MA in Religious Studies. He is currently pursuing his PhD with the University of Nairobi. He is married to Pamela and blessed with a daughter Benadate (20) and a son Benedict (15).His time is mostly spent on “Reflection on defining moments of life, Risking and Investing on those things that last”. Lieut-Colonel Renea Smith is Secretary for Personnel, United States Central Territory. Originally, Renea was a drama and English teacher in secondary schools, before entering college with the Servants of God session. 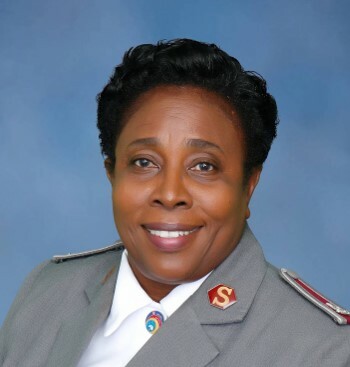 Since commissioning, she has served in corps work, in various appointments related to youth and children, at training college, and in divisional and territorial headquarters responsibilities. With her husband Paul they have two adult sons. Lieut-Colonel (Dr) Geoff Webb currently serves as Assistant Chief Secretary (Personnel) at International Headquarters. 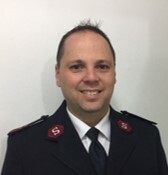 Previous ministry includes corps officership, training work (including Training Principal in Pakistan and Australia Southern territories) and divisional leadership. He received his PhD (D.Theol.) in New Testament studies in 2004, and has been an extramural lecturer at Whitley College and Eva Burrows College (both in Melbourne). Geoff is a member of the Fellowship for Biblical Studies and the Society for Biblical Literature, and Research Fellow with the Australasian Centre for Wesleyan Research. He is the author of Mark at the threshold, co-author of Authentic “fair dinkum” holiness for ordinary Christians, and Holiness Incorporated: living and working beyond corporate integrity; and was editor (and contributor) of Mission Mandates. He is married to Kalie and they have three children and four grandchildren.